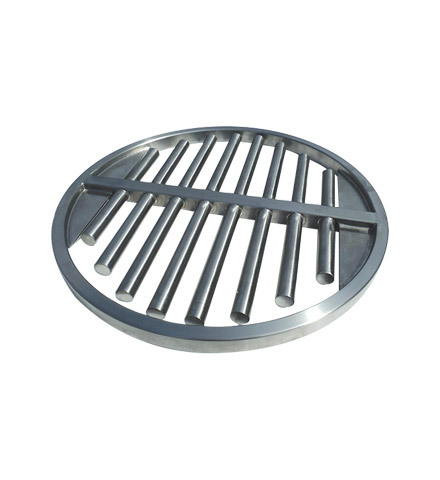 The Greenwood Housed Easy Clean Round Grid has been designed to fit into round chutes with limited height available. 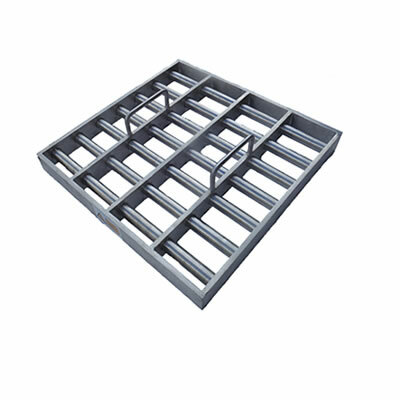 For round chutes, the usual solution is to fit a rectangular easy-clean grid box with transitions to the round pipe. However, these require approximately 200-250mm of space as a minimum. The Housed Easy-Clean Round Grid is only 100mm high. 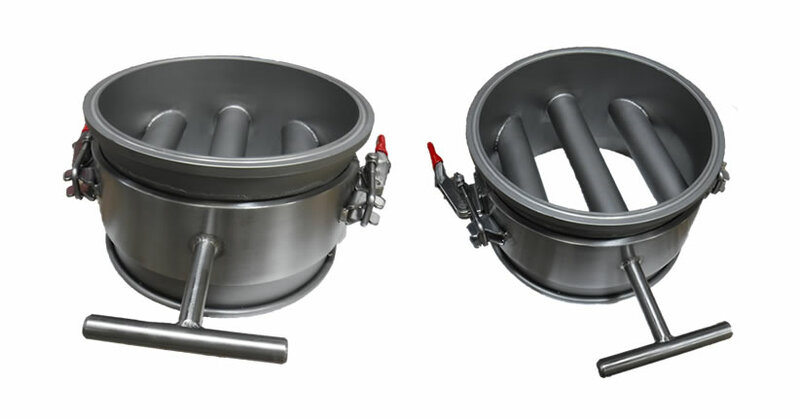 The outer easy-clean tubes are welded directly into the housing. 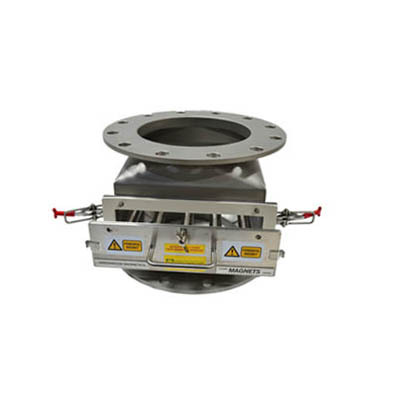 This means that the housing with the magnet must be removed from the pipe for cleaning. For this reason, the housing is fitted with top and bottom quick release clamp connections for fast and easy removal. The quick release side clamps on the drawer are then opened and the inner rods can slide out for the automatic removal of the metal contamination. 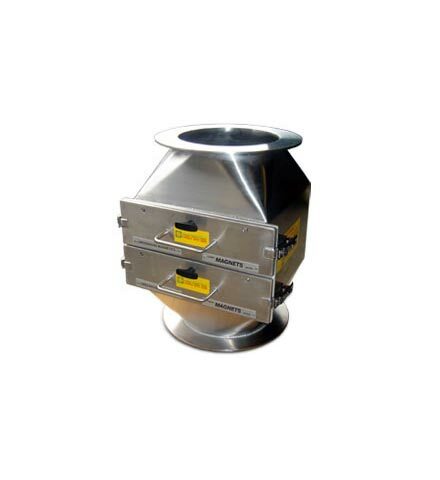 Alternatively, for open-ended discharge, the main housing can be kept in place and the metal allowed to fall through the chute for collection at the outlet.